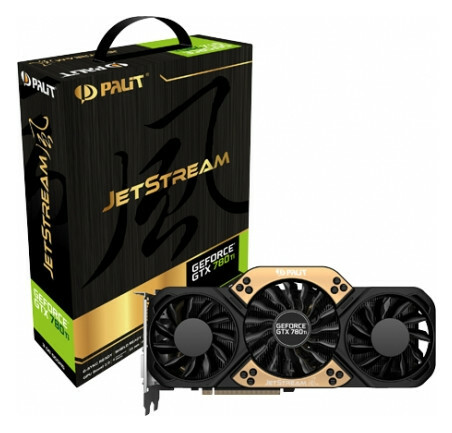 Palit Microsystems Ltd, the leading graphics card manufacturer, releases the Palit GeForce GTX 780 Ti JetStream, the fastest single-GPU on the planet. The Palit JetStream series of graphics cards features innovative cooling and an optimized product design to deliver gamers the ultimate gaming experience. 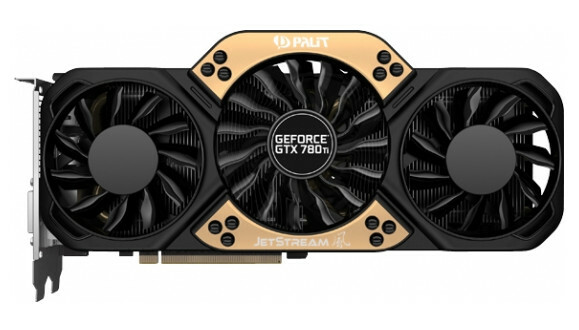 As the latest and most powerful GPU in the series, the Palit GeForce GTX 780 Ti JetStream guarantees gamers cutting-edge performance and an explosive new gaming experience. 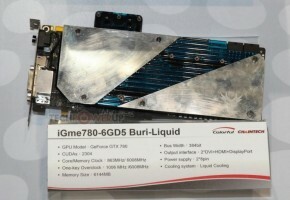 This Palit GTX 780 Ti JetStream becomes the new king of single GPU graphics cards. 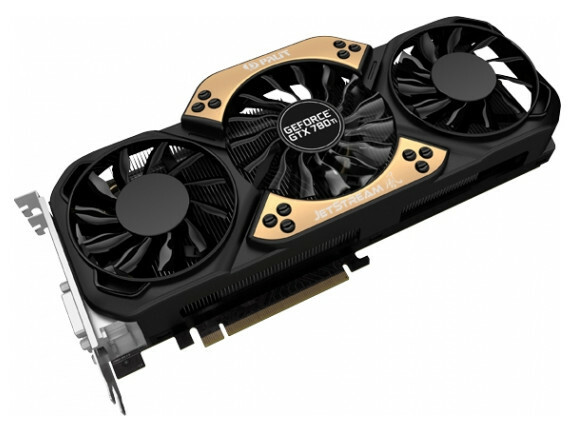 Palit GeForce GTX 780 Ti JetStream has its GK110 core clocked at 980 MHz, making it much faster than the stock 876 MHz of NVIDIA’s reference design. Keeping things frosty under the hood are three jet engine-inspired fans (two 80 mm and one 90 mm) that deliver optimized air flow to the heatsink. Further improving the card’s cooling performance is the new heatsink design which consists of a copper base and five copper heatpipes for efficient heat dissipation. 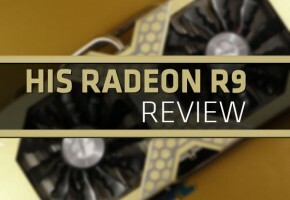 It also makes use of DrMOS and an 8-phase PWM design to increase the card’s stability and improve its overclocking ability. Palit GTX 780 Ti JetStream also equipped with two 8-pin PCI Express power connectors to ensures the power fully supported from the system power supply unit under heavy loading operation. Equipped with the JetStream cooler and optimized product design, Palit GeForce GTX780 Ti JetStream provides gaming benchmark up to 10% compared with GTX 780 Ti reference board. With new JetStream thermal design features, the noise level is 7dB quieter and the temperature is 10℃ cooler under the hard game loading. Stay Quiet, Stay Cool and Enjoy the High gaming performance with Palit JetStream. The Palit ThunderMaster overclocking tool fully utilizes NVIDIA’s renewed GPU Boost technology as it intelligently monitors temperature as well as clock and fan speeds. ThunderMaster also lets you push things further with its “Master Mode” so you can achieve maximum performance. The GeForce GTX 780 Ti is more than just fast and smooth. 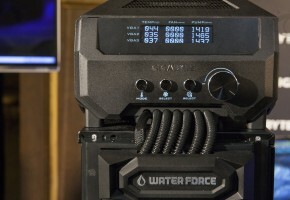 It perfectly boosts your gaming experience with a stunningly beautiful, quiet design. You get NVIDIA GPU Boost 2.0 for maximum clock speeds, PhysX and TXAA technologies for smooth, sharp graphics, and GeForce ShadowPlay to capture all your greatest gaming moments, automatically. Whether you’re playing on stunning 4K monitors at extreme settings, or multiple monitors at 25 x 16, the GTX 780 Ti provides the horsepower to drive all your next-gen gaming visual experiences. Palit GeForce GTX 780 Ti JetStream is the flagship GPU of the GTX700 Series platform. 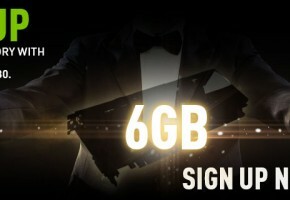 It offers insanely performance to give hardware enthusiasts and extreme PC gamers the ideal gaming experience. The new JetStream design adding ;large size copper base directly adhered with GPU and more heatpipes; that can efficiently dissipate the heat from GPU and make 20% cooler. 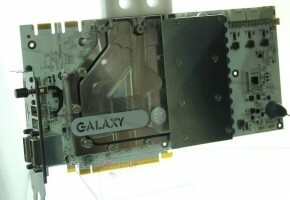 With its optimized video output, the Palit JetStream supports 3 DVI connections using a single graphics card. Two 8-pin PCI Express power connectors for GTX 780 Ti JetStream ensures the power supported from the system power supply unit is inexhaustible during heavy loading operation. Palit ThunderMaster is a overclocking utility program for the graphics card, and allows you to boost the performance and to monitor the GPU information. Activate MasterMode, it can optimize the best setting of the GTX780 Ti JetStream series and provide extra 5% gaming performance.